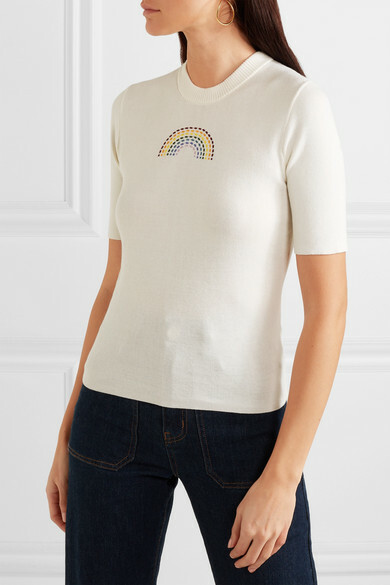 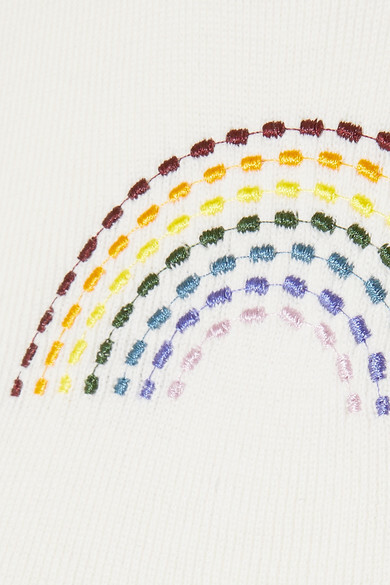 STAUD's T-shirt is playfully embroidered with a rainbow across the chest. 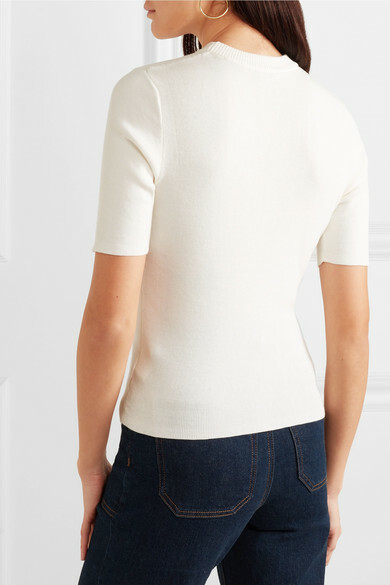 It's knitted from cozy ribbed cotton for a slim fit and has a classic crew neck. 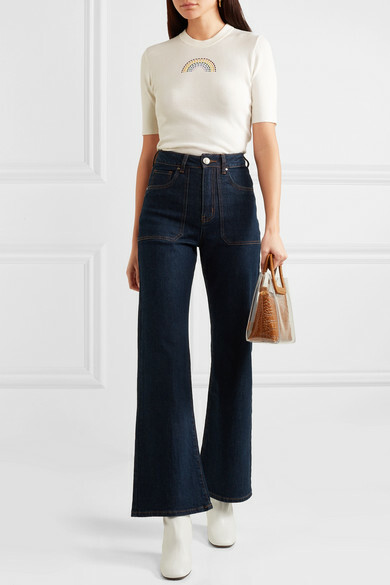 Wear yours on warm spring days with a pair of the label's multicolored pants or jeans.